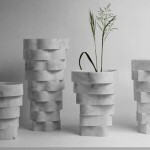 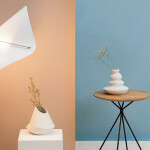 Israeli designer Ofir Zucker in collaboration with origami artist Ilan Garibi, has created the Palmas concrete origami vase collection for Talents Design. 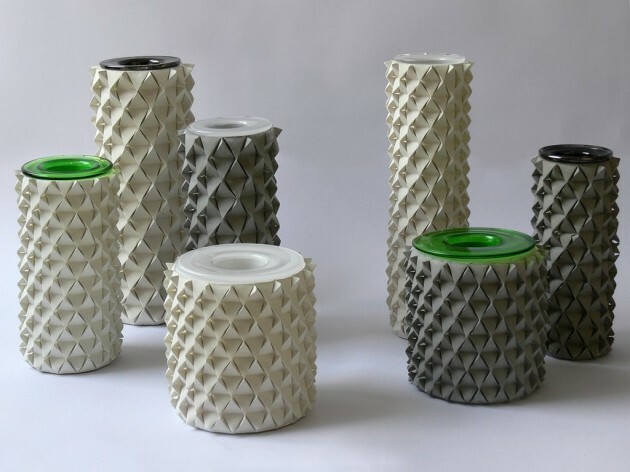 Palmas is a vase collection made of concrete, each casted into a hand folded origami mold. 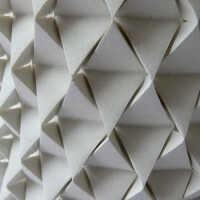 Each pattern consists of 150-250 molecules, according to its height. 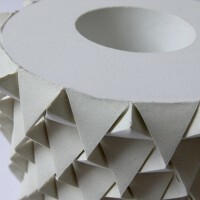 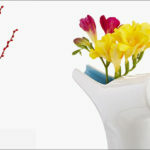 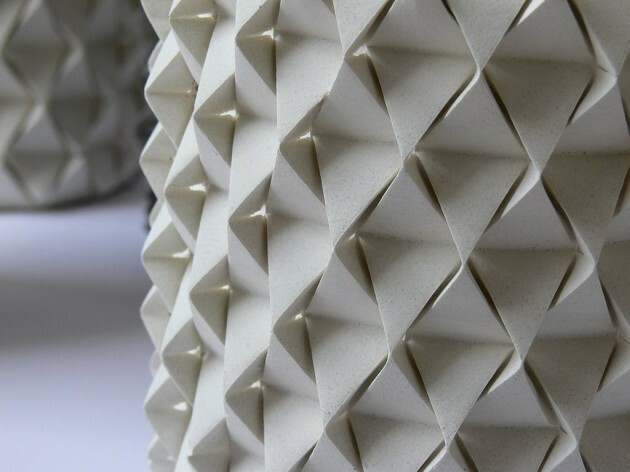 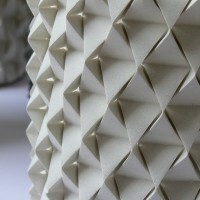 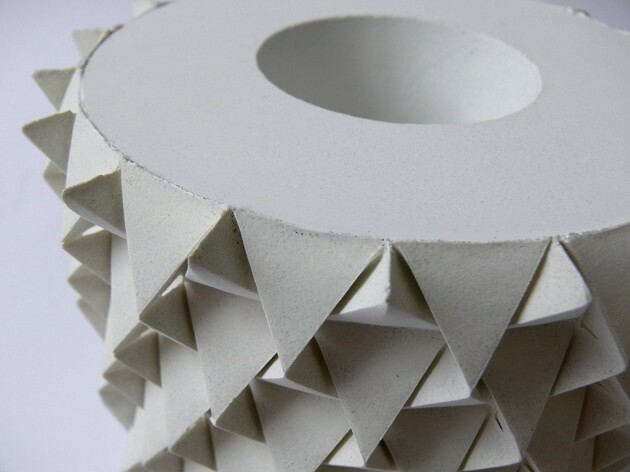 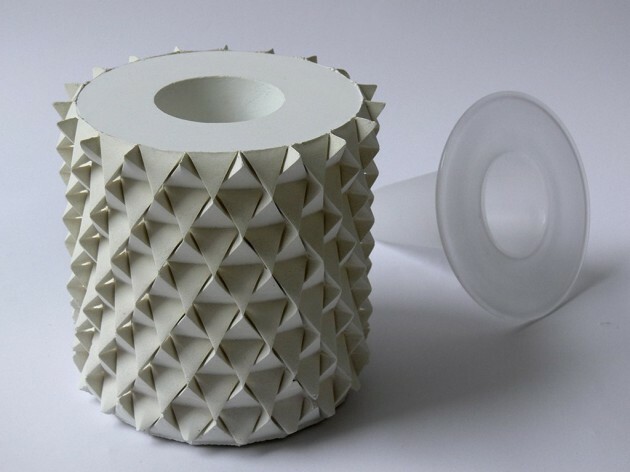 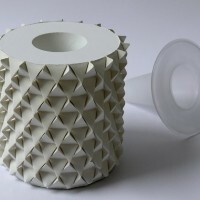 The origami mold has a one-time use only, once the concrete hardens inside it, the paper is peeled off – a process which creates each vase as a unique piece. 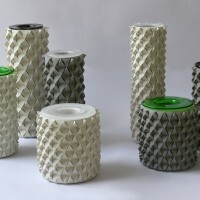 The whole collection consists out of two basic shapes – a triangle and a circle, patterned and combined in different sizes and proportions. 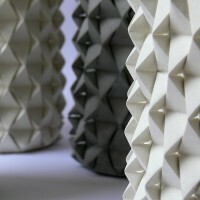 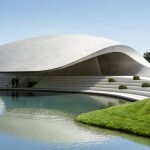 The sharp lines and rough concrete stand in contrast to a soft glass top which can be taken out for filling water.